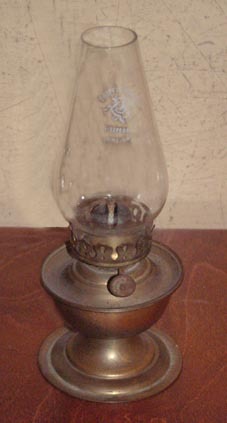 Shown below are some of the common lamp burners, click on the picture for details of the burner, correct wicks and chimneys to use. 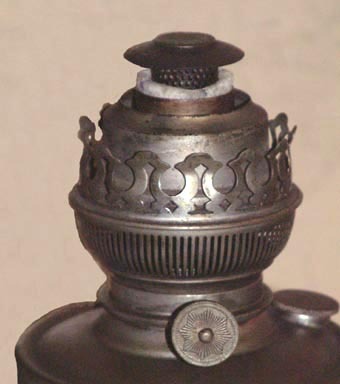 The Pixie round wick burner. 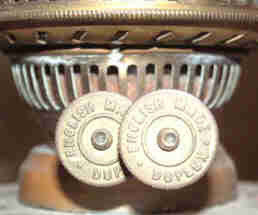 The Slip flat wick burner. 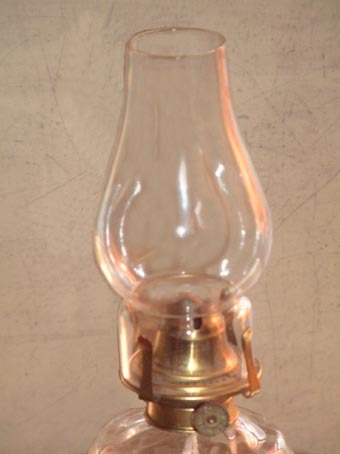 The Queen Anne flat wick burner. The Famos burner, page coming soon..!.